Clear Sky Cabins, sleeps 8, comes fully-equipped, has 18 foot vaulted ceilings, timbered beams, big picture windows with breathtaking views. 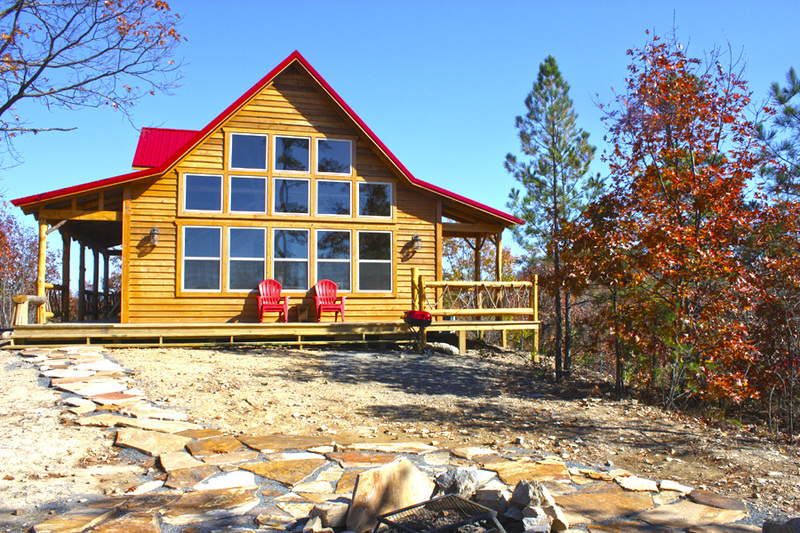 Clear Sky Ridge cabins in Mena Arkansas boast luxurious, fully furnished rental cabins near Wolf Pen Gap in Ouachita National Forest​ and Fourche Mountain.​ Plan your next rental cabin getaway today! includes 3 bedrooms, 2 bathrooms, and is a 2 story lodge with 18 foot vaulted ceilings, timbered beams, big picture windows, a full kitchen, wrap around covered porches, a stone fire pit and it can comfortably sleep 10. 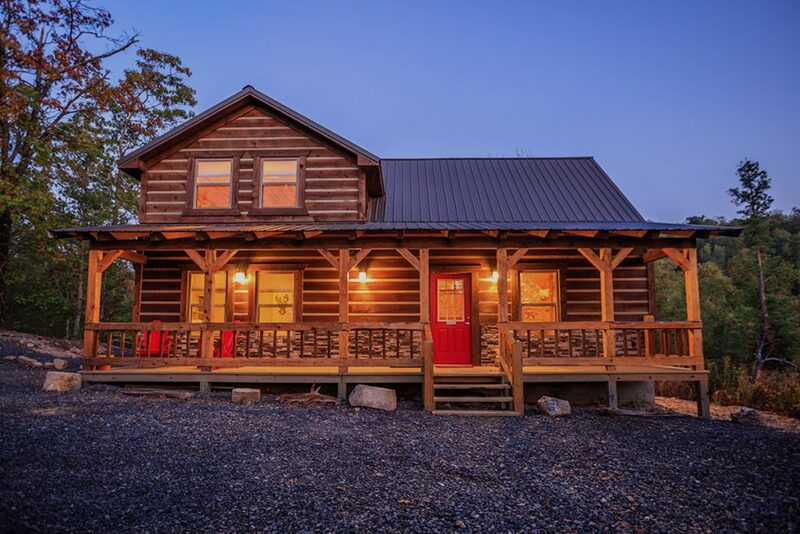 Perched atop a secluded 24 acre mountain retreat that borders Ouachita National Forest, this luxurious Wolf Pen Gap rental cabin, while rustic in character, has all the modern conveniences to make your stay more than comfortable. Nestled in the scenic Ouachita Mountains, Clear Sky Lodge boasts 360 degree views of Ouachita National Forest and Wolf Pen Gap, and provides everything you’ll need to enjoy a peaceful, relaxing or adventurous stay. This magnificent lodge set in the most picturesque of views comes fully equipped and sleeps 8 comfortably. 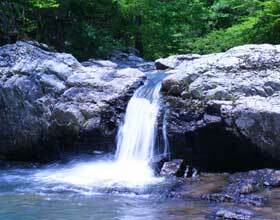 The Hilltop is both luxurious in nature and rustic in character. Our newest addition! A getaway nestled in a beautiful tree surrounding. The Hideaway comfortably sleeps 8 and has a an extended patio. It is luxury living in woods! 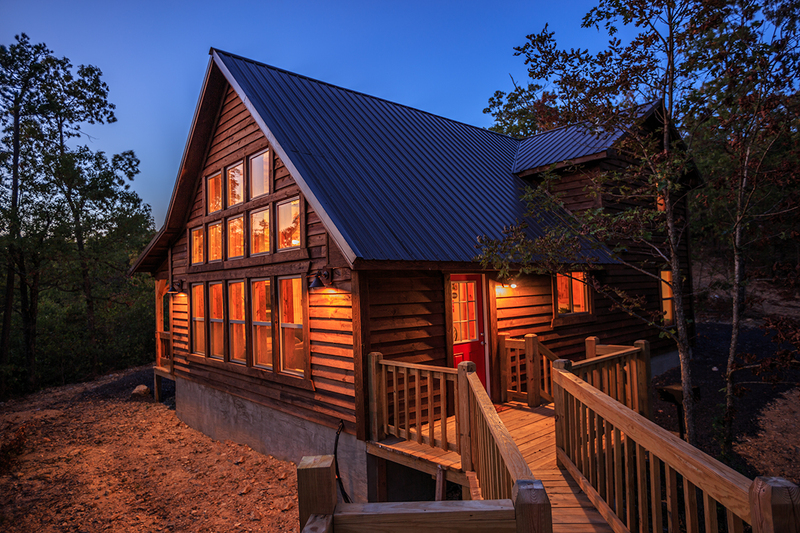 A stone’s throw from this beautiful Ouachita cabin is something for everyone— adventurous ATV trails, mountain biking, hiking, fishing, golfing and so much more. 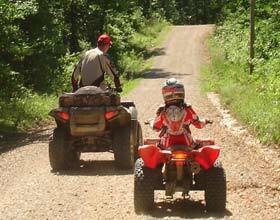 Situated inside Ouachita National Forest mountains, Wolf Pen Gap has miles of groomed trails created for ATV and dirt bike riding—fun for all ages and skill levels!